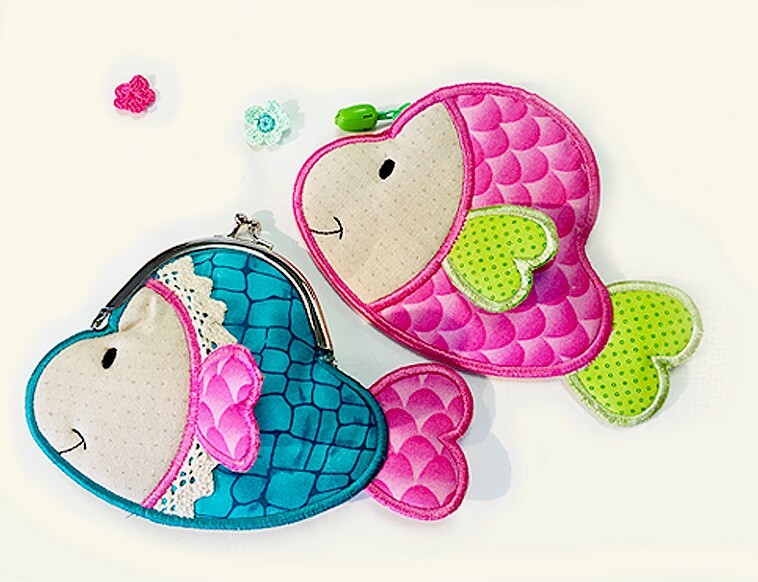 Adorable Fish Pouch Designs, You can mix and match your own fabric pattern color selection to make them so unique, 5×7 and 6×10 hoop sizes included. Easy to follow instructions included. cords pack , cord locks and Crochet bias tape Available here!